Yacon syrup is the ‘next big thing’ – something we have heard levelled at other products several times before, usually from the manufacturers themselves. BUT, when people who are independent and considered experts from their peers from within the industry are saying it… then you had better listen. 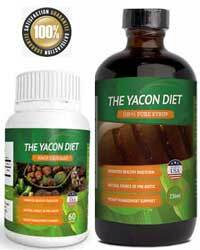 Yacon Syrup is being touted as the most complete weight loss diet to date, that is comparatively inexpensive, easy to follow and highly effective. Yacon Syrup is a sweet, treacle-like substance (pictured left) that is manufactured using extracts taken from the roots of the yacon plant (smallanthus sonchifolius). 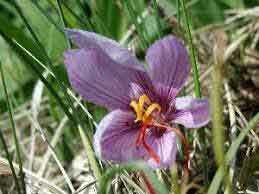 The plant is native to the Andes mountains and has a long history of use, both as a medicinal compound and as a food. In Bolivia the roots are often eaten as a natural remedy for digestive disorders and are also favored by diabetics, as a means of helping to control their condition. In Brazil the leaves are often brewed into a tea and drank as a means of preventing diabetes, it is unclear how effective this might be, but the yacon plant is certainly rich in nutrition and surprisingly low in calories. The taste of yacon syrup has been compared to both raisons and figs and, although not everyone loves its flavor, many people use yacon as a low calorie sweetener. 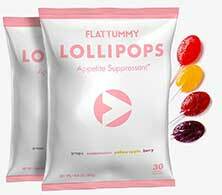 The syrup also has a good reputation for encouraging weight loss, has done well in several scientific tests, and has become an increasingly popular slimming aid since being endorsed by the American TV show host Dr. Oz. Yacon syrup is easy to use and those who wish to avail themselves of its weight loss benefits need do nothing more than eat a teaspoonful before their meals. Another alternative is to use it as a substitute sweetener. 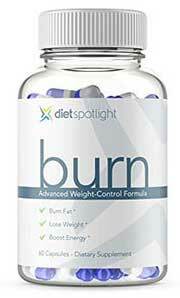 There also supplements available (tablet form) that can be taken either or part as a complete diet. 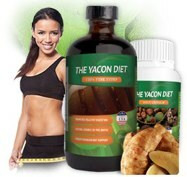 The Yacon Diet employs two products in the range that be purchased separately or in combination. The Yacon Diet can help you suppress appetite while burning calories (and excess fat deposites) while raising your metabolic rate. Yacon syrup is naturally high in prebiotics, including fructooligosaccharides (FOS). This is particularly important because FOS is resistant to the natural digestive enzymes and will not release any calories into the body. FOS also acts as a form of soluble fiber that can increase stool production, prevent constipation, and generally contribute to good gut health. The FOS found in yacon syrup also nourishes the flora (good bacteria) in the colon. Dr. Oz mentioned this on his show, calling them “skinny bacteria”, and with good reason, because tests have shown that bacteria such as Lactobacillius and Bifidus have anti-inflammatory properties and can boost the immune system. Increasing the amount of these very good bacteria is also a surefire way to reach and maintain a healthy weight. Tests also reveal the bacteria can change FOS into short-chain fatty acids that are capable of restricting cholesterol synthesis in the liver and improving tissue sensitivity to insulin. Yacon also appears to encourage the body to absorb a larger amount of minerals from ingested food, and may render calcium more “bio-available”. Some studies suggest this could improve bone density and inhibit the progression of osteoporosis. But yacon syrup is not recommended for anyone who suffers from diarrhea or loose stools because it is possible it could worsen their condition and may add further complications such as nausea, flatulence, and bloating. People who are allergic to sunflower seeds should also avoid using yacon because the two plants are related. 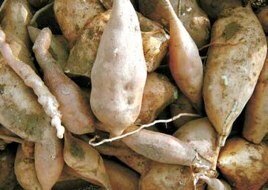 Yacon has a long history of medicinal use and is probably one of the oldest natural remedies in the world. Although yacon syrup is a relatively new way of processing the natural goodness of the yacon plant, the syrup appears to be superior to many alternative forms of yacon extract so, in this case, it seems a spoonful of syrup can help the medicine go down. 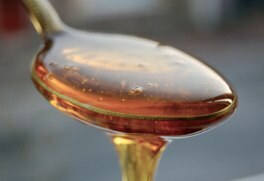 As already stated, the syrup offers may benefits—and much is still to be learned—but a lot of the present buzz surrounding the product can be attributed to its ability to encourage weight loss. This has already resulted in several yacon syrup-based diet supplements appearing on the market and there will, no doubt, be many more; but some blends fail to sufficiently harness the power of the syrup, so caution is advised before deciding on any particular brand of yacon syrup supplement. 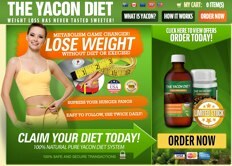 The best and most potent brand is The original Yacon Diet. Available to order online from its own official website. The product ships to all countries and is available in multiple currencies. 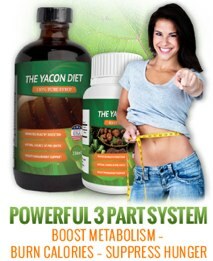 The Yacon Diet can be bought in part or in whole, either the syrup or supplements only or in combination. There are packages starting from £35.